Images by Kirsty Pargeter and Navid Baraty. This article appears in print in the February 2018 issue. Click here for a free subscription. 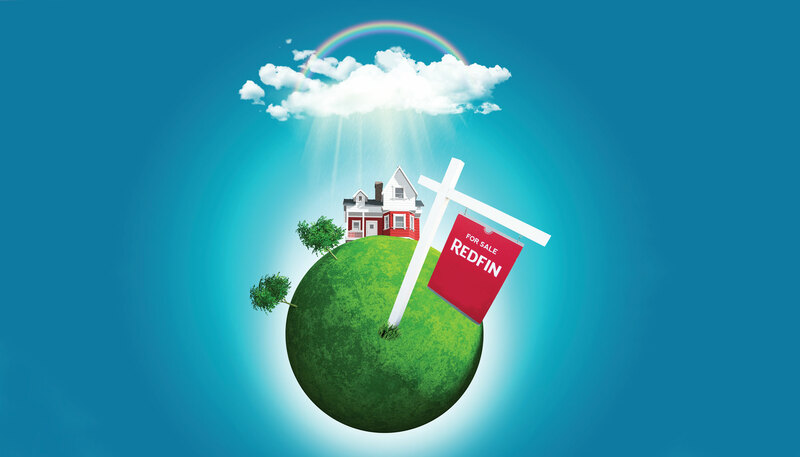 What to make of Seattle’s newly public real estate brokerage, Redfin? Is it a hot technology company with the potential to disrupt how Americans buy and sell homes? Or is it just another discount residential brokerage — albeit one with a nifty set of online tools, such as the interactive 3D home tour? Certainly, Redfin went into its initial public offering last July valued as a billion-dollar tech unicorn. Shares jumped 44 percent on its first day of trading. The IPO raised a $138.5 million bankroll for the company and indicated that investors were betting big that Redfin’s combination of cutting-edge technology, discounted commissions and full-time employee brokers would transform the industry. In late December, the company’s market capitalization — the stock price multiplied by the number of shares outstanding — was $2.1 billion. Redfin has managed to reduce many of the pain points in buying and selling by enabling engineers to improve the digital platform and make it more convenient for buyers and sellers, thus empowering agents and allowing valuable data to be collected at every stage of the process. A key addition in December 2015 was Redfin Estimate, which, according to a study commissioned by Redfin, is within 3 percent of what a house ultimately sells for 64 percent of the time, compared to just 29 percent of the time for rival Zillow’s Zestimate. But Redfin’s biggest draw is its discounted commission. To homebuyers who use a Redfin agent, it offers an average refund of $3,500 on commissions. Most sellers get an even better deal. With most seller commissions recently lowered from 1.5 percent to 1 percent, they are now an impressive one-third of that charged by most traditional brokerages. That’s a saving to the seller of $20,000 on a $1 million home. And sellers get all the digital bells and whistles for that price, including free professional photos, a 3D walk-through and a digital marketing campaign. Redfin also says its listings sell more quickly and for a higher price than industry averages. Is it enough of a disruption to justify a $2 billion valuation? Imprev enables brokerages to create branded print, digital and social-media marketing for their agents’ listings automatically. The company has up to 260,000 agents using its technology, Congdon says. He remains skeptical that Redfin could afford taking just 1 percent in commissions from listings without the substantial private equity and public funding it has received over the years. “The rest of the industry does not have their model and can’t support [such low rates],” Congdon observes. Strictly viewed as a residential real estate brokerage, Redfin is indeed a small player on the national stage, operating in the red with an accumulated deficit in Q1 2017 of $613.3 million. While Redfin presently is in 37 states and the District of Columbia, its share of home sales by dollar volume nationwide amounts to a fraction of one percent. By comparison, large players such as franchisers Keller Williams Realty and Re/Max have roughly a 10 percent share of the national market each. As well, Redfin in many markets — including Seattle — faces entrenched competition that it is finding it hard to dislodge. “[Redfin’s] in-city market share in Seattle in 2016 was just about 5 percent of all transactions, after 12 years,” says OB Jacobi, copresident of Windermere Real Estate. Windermere, which has been around since 1972, has a 32 percent share of that market, according to Jacobi. The largest brokerage in the Puget Sound region, Windermere has 850 agents working in the city of Seattle. Jacobi is also skeptical whether technology will ever bring the return Redfin expects. He points out that while roughly 10 percent of Windermere’s 6,500 agents advertise on Zillow, only one to four percent of the leads they get through their presence on that heavily trafficked real estate website generate any business. He says 17 percent of Windermere’s leads come through open houses, and more than 80 percent from personal connections. And if it’s technology customers want, traditional brokers have access to plenty of it. Windermere Real Estate spinoff Moxi Works, for example, provides an open-software platform that enables large residential brokerages with 150 or more agents to present a consistent brand through a set of tools that includes online coaching, an agent roster, up-to-the-minute listings data, listing fliers, customer relationship management and email marketing. About 50 large brokerages with a total of more than 90,000 agents are using Moxi Works, according to the company’s website. For all the naysayers, Redfin’s approach appears to be gaining traction. In the third quarter of last year, Redfin.com attracted 24 million unique visitors, up 38 percent from the year before. That’s about a fifth of Zillow’s traffic. But by adding 7 million visitors during the year, it is catching up with Realtor.com, the largest real estate brokerage site, which added 2 million visitors. Analysts estimate that Redfin’s share of total visits to real estate sites has doubled to 10 percent since 2014. Having that heavy online volume reduces the need to spend heavily on marketing to find new clients. The heavy online traffic is helping drive new business. Analysts project Redfin’s revenues last year were about $370 million, up 40 percent from the year before and double the level in 2015. Meanwhile, after years of red ink, analysts expect Redfin to finally start making money next year. But it’s not just the mobile experience. Redfin’s technology platform has expanded to include virtually every element of the home-buying process — from search to closing. The company has established its own mortgage company and makes direct loans. It can act as an escrow agent through its title and settlement service business and even buys homes directly from homeowners interested in a quick sale. Since every element is built on the same technology platform, Redfin can pull data and use machine learning to help improve the process. Redfin’s system can predict, for example, when buyers should waive contingencies and inspections to make sure they get the house they want. If you show an interest in buying, Redfin will send you links to houses in markets you’ve expressed an interest in. If it determines that a property you’re interested in is likely to sell soon, it will send you an alert. If you want to move quickly, Redfin lets you schedule a tour with the click of a button. By then, the system knows a lot about you. If you’ve been spending a lot of time viewing a single house, Redfin would match you with an agent capable of helping you quickly close a deal. If you’ve been looking at houses all over the city, the system might match you with an agent to help you narrow down your search to the neighborhood and house most likely to match your needs. Redfin takes advantage of its staffers to construct a team approach to providing the kind of on-demand service people have become accustomed to through services like Uber. “People want it and they want it now,” notes Kelman, who says the company responds to customers 24/7. Redfin provides its agents with leads, a salary, benefits and bonuses based on customer satisfaction. The lead agents get help from assistants, who may handle certain tasks such as house tours. The combination of strong technology and strong teams is helping the company stand out in a crowded market. “It’s the perfect blend of technology and service,” says Kelman. Markets like Seattle, where one real estate firm dominates the landscape, are the exception. In most markets, the brokerage sector is highly fragmented. There are an estimated 2 million active licensed real estate agents working at 86,000 agencies across the United States — many of them franchises or small local brokerages. Last year, these agents competed for a share in some 5.5 million home sales that yielded commissions totaling more than $75 billion. While Redfin’s market share of home sales was only 0.71 percent in the third quarter last year, that share was up an impressive 0.14 percentage points from the year before. Despite the move toward digital methods to handle home purchases, few believe the process will ever totally cut out the agent the way travel agents have largely been cut out of most travel purchases. More than 85 percent of transactions involve at least one agent, according to Steve Murray, president of REAL Trends, a research and consulting firm in Castle Rock, Colorado. Local, state and federal regulations have made home sales an increasingly complex transaction. And since buying or selling a house is the largest transaction most individuals make in their lifetimes, many will continue to prefer having an expert involved somewhere in the process. “If you make a mistake and forget to sign a document, or overpay or buy in the wrong neighborhood, it can really ruin their lives,” says Murray. While he thinks Redfin will be successful, Murray does not think the company and its technology will disrupt the industry. Although the national average for commissions had fallen to 5.2 percent by the end of 2016, Murray attributes that decline to the lack of inventory, which has given home sellers more leverage in negotiating lower commissions. He doubts rates will drop below 5 percent. But if Murray is correct, that would make it easier for Redfin to win more listings. If it continues at the current pace, says Rob Hahn, founder and managing partner of 7DS Associates, a New Jersey-based management consulting firm for the real estate sector, Redfin could overtake rival Realogy within 10 years. In a recent blog, Hahn predicted that in several years Redfin will be one of 10 to 20 super regional brokerages dominating the industry. While competitors will have to pay Zillow to use its software and generate lead flow, Redfin will have built up its business on its own proprietary technology. 5 percent market share, they would still be a giant company,” says Murray. True enough. That slice of the $75 billion in commissions paid last year works out to a handsome $3.75 billion. Additional reporting by Leslie Helm.